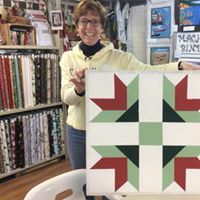 Class Registration — Tiger Lily Quilt Co.
from Tiger Lily Quilt Co. You will receive a 10% class discount on items listed on your class supply sheet. • Register early to ensure your space. 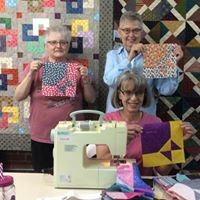 You can register in person or by calling Tiger Lily Quilt Co.
• Class fee is required to register. • Classes start on time. • If you can’t make the class, we can transfer you to another class or issue a store credit if we are notified one week prior to class start date. • Be familiar with your machine and have it in good working order for the very best class experience. • Inclement weather policy: If Oneida County public schools are closed, all classes at Tiger Lily are postponed and will be rescheduled.